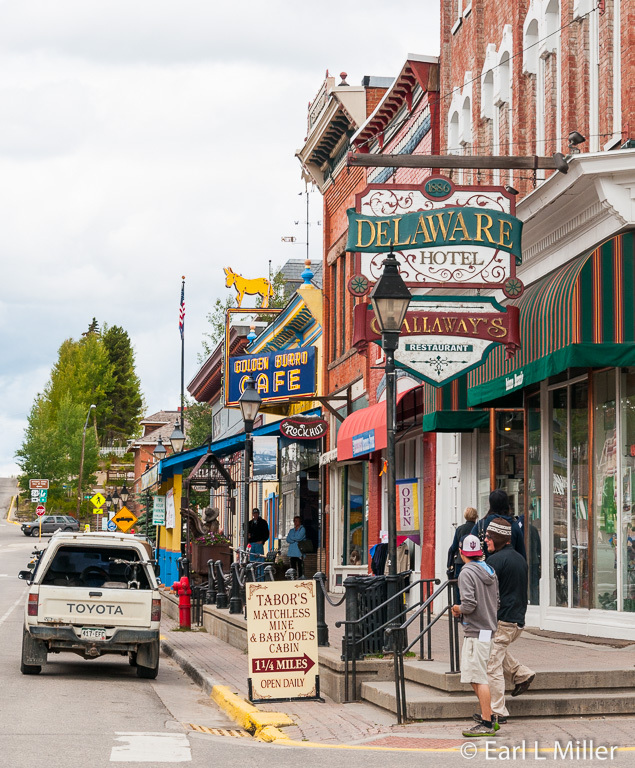 Leadville today is a town currently populated by 2,500 people with a strong history based on mining and fascinating pioneers. Its 70 blocks, dominated by Victorian buildings, have been designated as a National Historic Landmark District. In a city this size, people marvel that visitors can explore several museums including the National Museum of Mining, take a ride on the Colorado and Southern excursion train, discover the second oldest fish hatchery in the nation, and visit a Jewish temple dating back to 1884. It’s also the city with the highest elevation, at 10,152 feet, in our country. Leadville’s incredible mountain scenery and wealth of outdoor sports opportunities attract many to the area during the summer. Lodging is available from bed and breakfasts to a variety of motels. Leadville RV Corral, a campground for RVs less than 35 feet long, is located downtown. Our motorhome is longer so we stayed at Sugar Loafin’, four miles from Leadville. I found it pricey at $280 a week and the camp sites were unkempt. Buena Vista, 30 miles south of Leadville, provides a much better choice of campgrounds. We enjoyed many meals, during our week in Leadville, at the Golden Burro, 710 Harrison Avenue, Leadville’s main street, which is open for breakfast from 6:30 a.m. to 11:30 a.m. and for lunch from 11:30 a.m. to 2:00 p.m. daily. During most of our stay, it was also open for dinner. Whether it will reopen for dinner next summer has yet to be decided. It specializes in a wide choice of family food, has most luncheon entrees less than $10, and has been in Leadville, under different proprietors, since 1938. The current owner, David Wright, produces and sells a variety of historic DVDs on Leadville which I highly recommend. The phone number is (719) 486-1239. We also dined twice at the popular Quincy’s Steakhouse offering dinners only from 5:00 to 9:00 p.m. This restaurant provides a six-ounce filet for $9.95 from Monday through Thursday and an eight-ounce prime rib for $11.95 on Fridays and Saturdays. Your only other choices are getting a larger meat size, ordering a sirloin steak, or purchasing their vegetable lasagna. Meals come with a salad with their house dressing and a baked potato. There are NO other choices except for a child’s macaroni and cheese. Expect a wait for seating. Quincy’s is at 416 Harrison Street and their phone number is (719) 486-9765. Leadville wasn’t always a small town. It developed out of Oro City, a tent camp, which grew by 1861 to more than 5,000 gold prospectors responding to the finding of placer gold in California Gulch by Abe Lee in 1859. These placer deposits played out quickly and, by the 1870's, the area was almost deserted. Two metallurgists, Alvinius Wood and William Stevens, discovered the local sands, which made gold sluicing so difficult, had an extremely high silver content. When a mother lode was discovered on the side of Iron Hill, the area boomed again, and the silver rush was on. 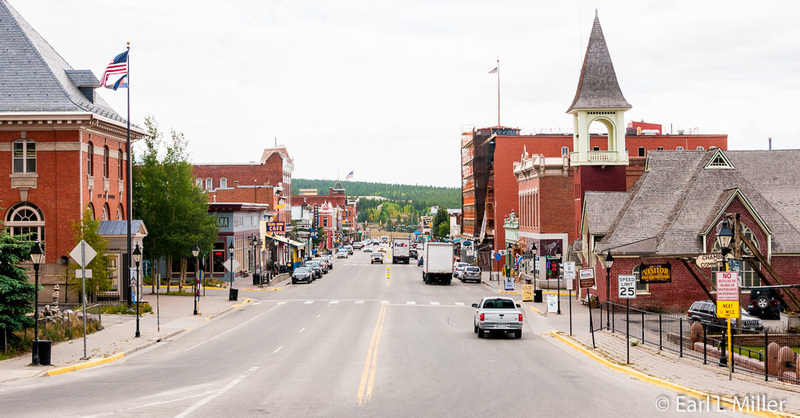 As a result, Leadville became incorporated in 1878 with the population reaching 30,000 by 1893. Banks, theaters and respectable businesses sprang up between saloons, gaming halls, bordellos and lawlessness. The town installed telephone and electrical service, had street lights, a fire company, and lobbied to become Colorado’s Capitol. By 1881, the district operated 14 smelters and reduction plants. Some of the leading mines were the Matchless, Chrysolite, Little Johny, New Discovery, and Little Pittsburg. In 1880, silver production topped at $11 million a year then leveled out at around $10 million for several years before starting its decline. In 1893, with the repeal of the Sherman Silver Purchase Act, the government stopped buying silver. This metal rapidly lost its value resulting in an economic panic, the loss of fortunes, and the closing of most of Leadville’s mines. The only smelter that survived was the Arkansas Valley Smelter, Colorado’s largest, which operated into the 1960's. The last mine, American Smelting and Refining Company’s (ASARCO) Black Cloud Mine closed in 1999. The town prospered once more when another gold boom occurred. The Ibex Mining Company acquired many of the old silver workings and reopened them. In addition to gold, they retrieved lead, zinc, manganese, and bismuth from these mines. This allowed Leadville to operate successfully until the Great Depression when most operations closed down due to low world metal prices, increasing production costs and limited capital resources. 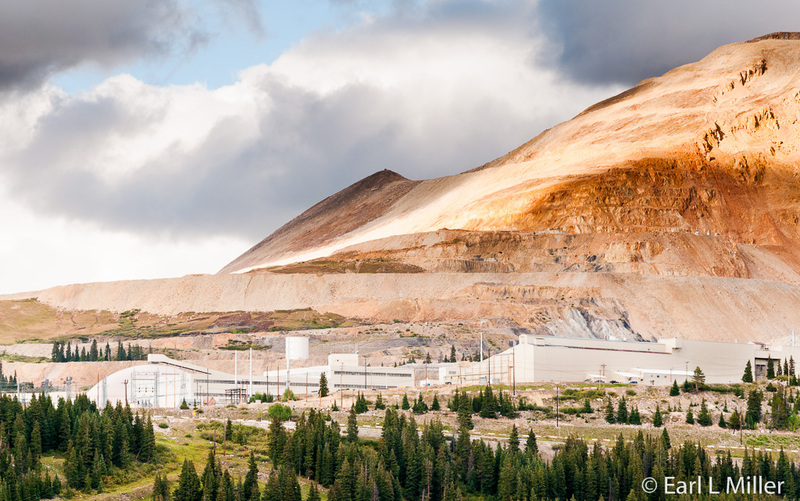 The Climax Molybdenum Company, located 14 miles north of Leadville, opened in 1916. It resulted in the final boom when it created one of the largest open pit mines in the world to extract Moly from Bartlett Mountain. This mineral is used in a variety of ways - from high strength steel alloys to use in fertilizer. By the 1940's, annual production of Moly from this company was more than $13 million. 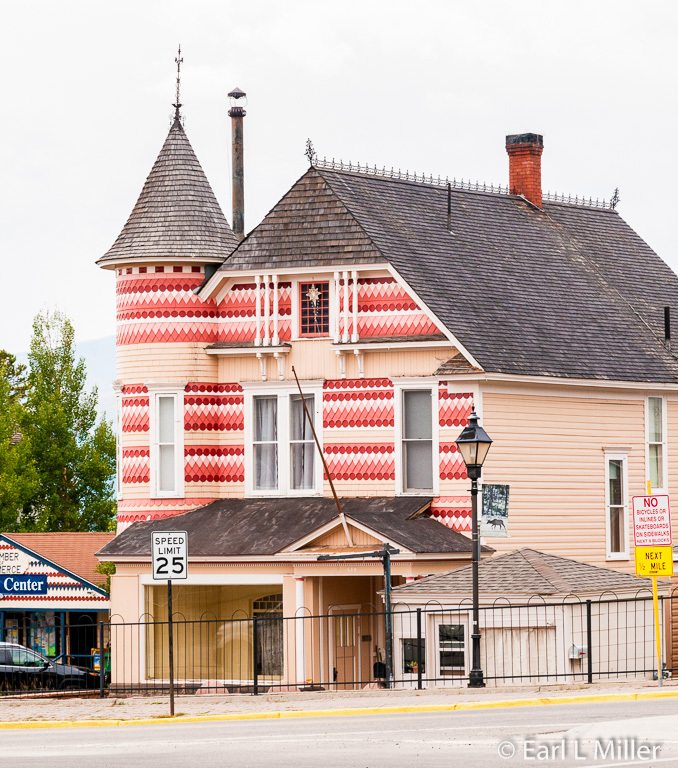 Production remained strong until 1982 when, due to the global economy shifting, Climax shut down and half of the area homes were moved to Leadville. During 2012, the Climax reopened but with a staff of around 350. Among those making their fortunes in the Leadville area were such people as Horace Tabor, David May, J.J. Brown and his wife Margaret, of Unsinkable Molly Brown fame, and the Guggenheims. Benjamin Guggenheim kept close watch of his father’s mines, the A.Y. and the Minnie. The Guggenheim fortune grew into ASARCO. May had a dry goods and clothing store in Leadville. He lived there until he moved to Denver in 1889. His business developed into May Department Stores Company, which later merged into Federated Department Stores and is now part of Macy’s, Inc.
Another visitor was Charles Dow. He was a journalist for the Providence Journal sent with a group of bankers and reporters to Leadville to examine silver mining in 1879. The trip’s purpose was that the bankers wanted publicity in order to gain investors for the mines. Dow wrote nine “Leadville Letters” based on his experiences there. This is the same Dow who developed the Dow Jones Average with his partner, Edward Jones, and went on to establish the Wall Street Journal. 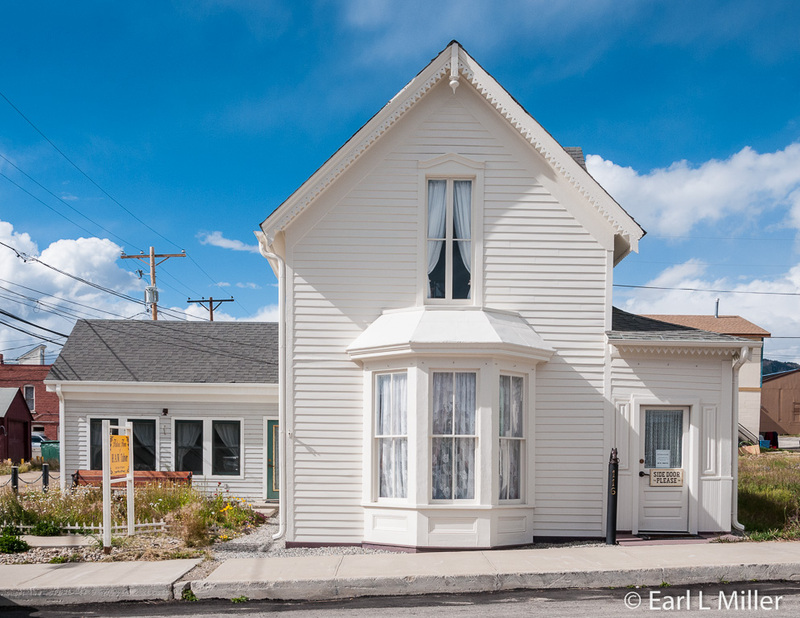 On a visit to Leadville, you’ll quickly hear about Horace Tabor; his first wife, Augusta; and his second wife, Baby Doe, who formed one of the most scandalous love triangles in Colorado. Horace was born in Holland, Vermont in 1835. He trained as a stonecutter and went to work at quarries in Massachusetts, then in Maine. In Augusta, Maine, he fell in love with the boss’s daughter, Louisa Augusta Pierce. In 1855, he departed for the Kansas Territory where he worked as a stonecutter at Fort Leavenworth before unsuccessfully trying farming. His reputation grew as a drinker, fighter, and abolitionist. In 1856, he was elected to the “Free Soil” Legislature which sat in defiance of the legitimate territorial government. Tabor was one of three to sign the petition to Congress for Kansas becoming a state. In 1857, he returned to Maine to marry Augusta. After suffering through two years of crop failure, they moved to Denver with their son, Nathaniel Maxcy, in 1859, just at the time that gold was being discovered. They first came to Oro City, then went over the Mosquito Pass to Buckskin Joe. They arrived in Buckskin Joe, Colorado in 1861. There Horace prospected, was road supervisor and superintendent of schools, and ran a mercantile store. 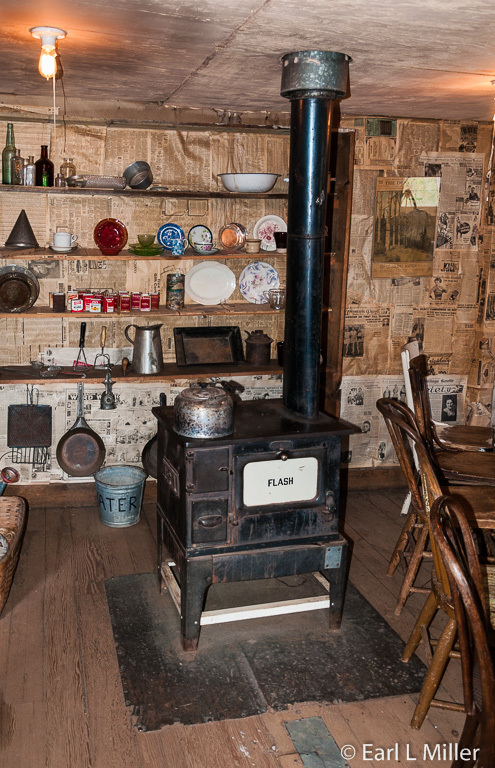 Augusta set up a boarding house, took care of the miners, did laundry, and acted as the bank. He was also the postmaster. In 1878, he was elected Lieutenant Governor, a role he had until 1884. He was also a U.S. Senator for three months (January 1883 until March 1883) filling in for the previous senator, Henry Teller, who had resigned to take a cabinet post. Tabor continued mine prospecting. In 1878, he grubstaked August Rische and George Hook, two Germans from Pennsylvania. In exchange for purchasing their supplies, he obtained a one third ownership of the Little Pittsburg, a silver mine. In 1903, he bought out the other two miners and sold the Little Pittsburg for a million dollars. This was the first of a chain of profitable mines that he would own. He purchased the Chrysolite, a mine that had been salted. “Chicken Bill" Lovell dumped a wheelbarrow of rich silver ore into a barren pit on his Chrysolite mining claim in order to sell the claim to Horace Tabor for a large price. He had obtained stolen ore from the Matchless. When Tabor dug down 25 feet further, he discovered the mine was worth $1,500,000 before he sold it. Tabor wanted to own a mine, without partners, and purchased the Matchless in 1879 for $117,000. The mine had been traded and bartered many times before, for non production and was constantly involved in lawsuits. By March of 1880, work at the mine halted due to excessive water continually flooding the shafts. Tabor hired Lou Leonard to manage and solve this problem. Soon Leonard claimed the mine was in working order. In 1880, it produced no less than $2,000 a day or $7.5 million in total, with some shipments running as high in silver as 1,000 ounces to the ton. The Tabor lifestyle caused great dissatisfaction for Augusta. She didn’t like Horace running a store and grubstaking at the same time nor did she want him to be a politician. She was quiet and shy and wanted nothing to do with furs and diamond earrings. She continued to spend frugally and dress modestly. As Tabor’s fortune grew, to what some say was $9 million, he lavishly threw his money around and womanized. In 1880, Tabor met Elizabeth McCourt “Baby” Doe who was divorced, beautiful, and intelligent. They began a discreet relationship. By July, this was no longer a secret. He moved into a hotel and asked for a divorce. Baby Doe was half his age. Besides spending liberally on himself with expensive clothes, liquor, and trips, he contributed financially to Leadville. He built the bank and the Tabor Opera House, redirected the streets, and invested in the newspaper. He also donated the land for Temple Israel, built in 1884. 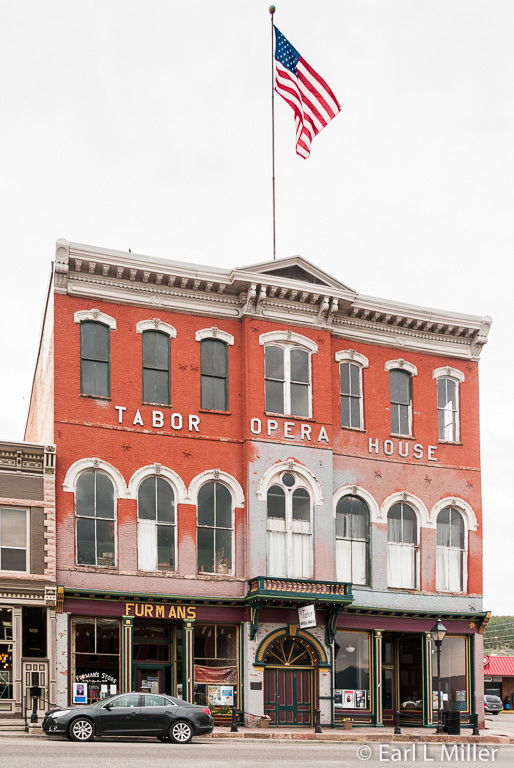 In Denver, he built the Tabor Grand Opera House and the Tabor Block. He arranged for a bogus divorce through a judge he knew in Durango then secretly married Baby Doe in St. Louis in September 1882. Newspapers exposed the fraudulent divorce and subsequent St. Louis marriage during Tabor’s run for a Senate seat in late 1882. Intimidated by Tabor’s business partner, Bill Bush, Augusta finally agreed to a divorce on January 2, 1883. As his U.S. Senate term was ending, he publicly married Baby Doe in March 1883. Their invitations were on silver sheets. Her gown cost $7,000 and her Imperial diamond necklace cost $90,000. While the men, including President Arthur, came to the wedding, the only women present were one of Baby Doe’s sisters and her mother. She enjoyed having a wealthy husband although Denver society tended to shun her. Their ornate Italian villa-styled mansion in Denver had 100 peacocks on their lawn and mostly unclothed statuary which caused quite a scandal. They had elaborate wardrobes, priceless jewels, and impressive carriages. He even commissioned five oil portraits of his beautiful wife, 25 years his junior. In 1893, Tabor had serious troubles when his holdings fell apart. He lost his fortune in the repeal of the Sherman Silver Purchase Act and made poor investments in Central and South America and the Vulture Mine in Bisbee, Arizona. He was soon poverty stricken. He worked again in the mines but this time hauling slag from Leadville mines before the Republican Party got him a job as postmaster at $3500 a year. He died penniless of appendicitis on February 10, 1899. Baby Doe lived in smaller and smaller places with her brother, Peter, paying a lot of her bills. She wrapped her feet and legs in burlap sacks held on over her worn boots with twine. She wore a long, black shoelace knotted intermittently to form beads and holding a simple wooden cross. She became very religious and spent much of her time journaling her dreams and conversations with spirits. Legend is that Tabor told her with his dying words not to give up the Matchless. But facts show he was in a coma for several days and they knew the mine had been lost to foreclosure several years earlier. The Shorego Mining Company let her live in what had been the superintendents’ cabin when the mine operated. In 1935, following a severe winter storm, a neighbor found Baby Doe’s frozen body on the floor in her cabin. She had died of a massive heart attack 10 days earlier. Horace and Baby had two daughters. Elizabeth Lilly’s christening gown had real pearls. She eventually moved to Wisconsin to lead a normal life. Her sister, Rosemary Silver Dollar moved to Chicago, where she tried to be a novelist but was overcome by drugs, alcoholism, and involvement with the Mafia. She was found scalded to death but no murderer was ever convicted. 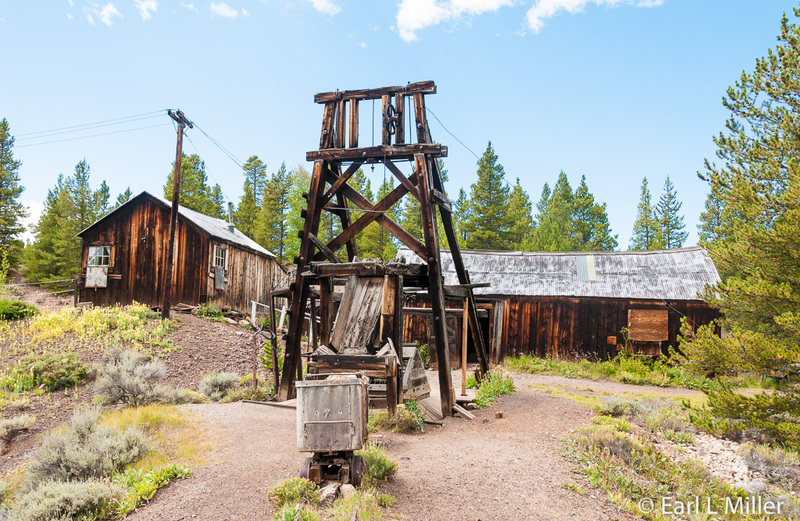 Today you can have a guided tour of the mine complex consisting of the original hoist house, headframe, powder house, and cabin. It’s an opportunity to learn what mining was like in the early days and learn the details about Baby Doe. At the cabin, you can see some of her personal items. You’ll view her trunk, shrine, a brown blanket on the bed, a beaver coat, white scarf, and leather satchel. Newspapers, but not original ones, line several walls. 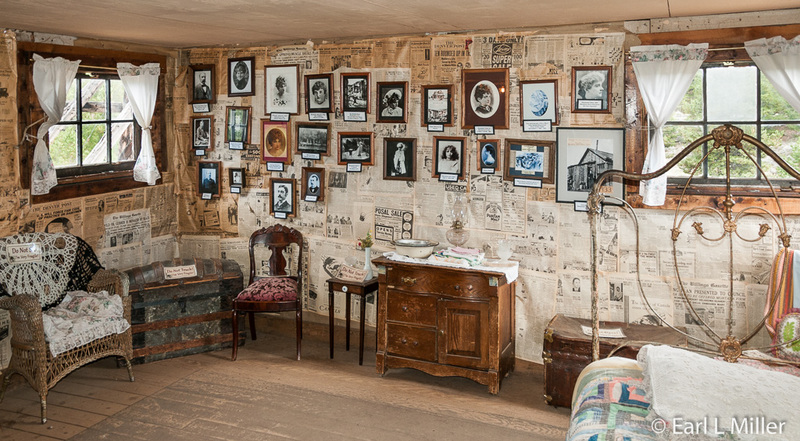 One wall contains photographs of the Tabor and McCourt families. In the hoist house, you’ll see an electric hoist. The original was steam driven. The building houses a large model of the Matchless Mine, which went down 560 feet. You’ll also see blacksmith tools in the building’s blacksmith shop and learn about the portable assay they had at the shaft. 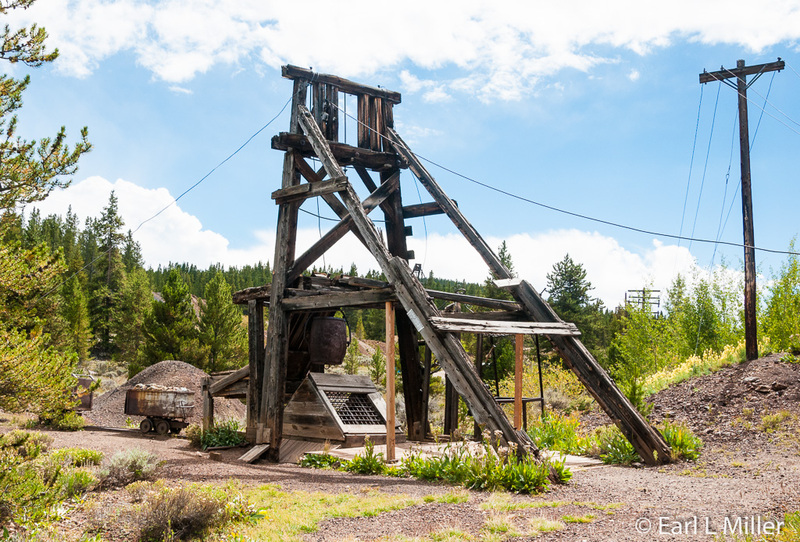 A stop at the headframe provides knowledge about how men went down in its dual chamber: in a man cage with three men at a time, on ladders, or riding buckets. 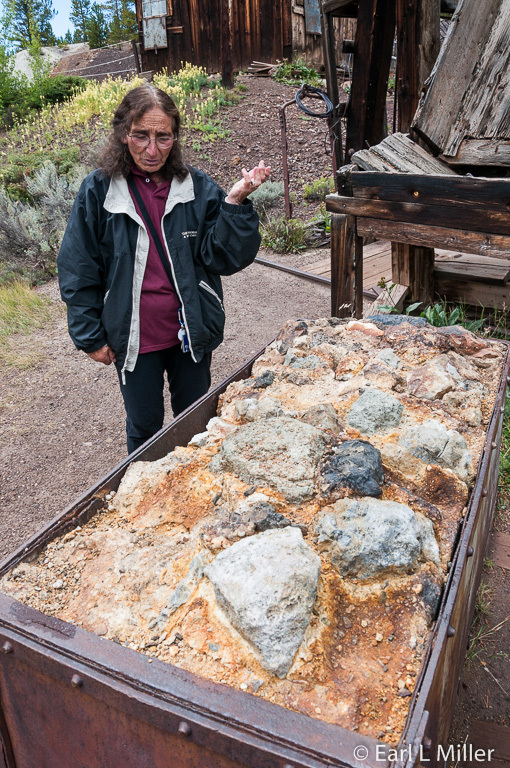 You’ll also spot a mine car filled with minerals and learn gold came out of the mine in white quartz. 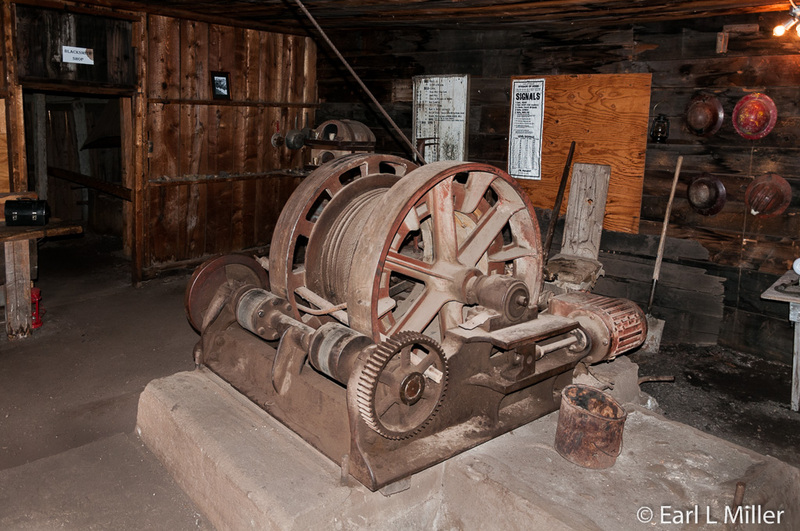 The Matchless Mine is open daily in summer from Memorial Day through late autumn. The last tour is at 4:30 p.m. Admission is adults $8, seniors (65+) $6, teens $7, and children ages 6-12 $3. There is no admission fee for children under the age of three. Combination tickets are available with the National Mining Hall of Fame Museum. It’s located 1-1/4 miles east of E. 7th Street. The phone number is (719) 486-1229. This is the home of Horace and Augusta Tabor. It was moved to its present location at 116 E. 5th Street when the Tabor Opera House was constructed. The home is open from Memorial Day through Labor Day from 10:00 a.m. to 4:00 p.m. or can be toured the rest of the year by calling (719) 486-3900 or (855) 488-1222 to make an appointment. 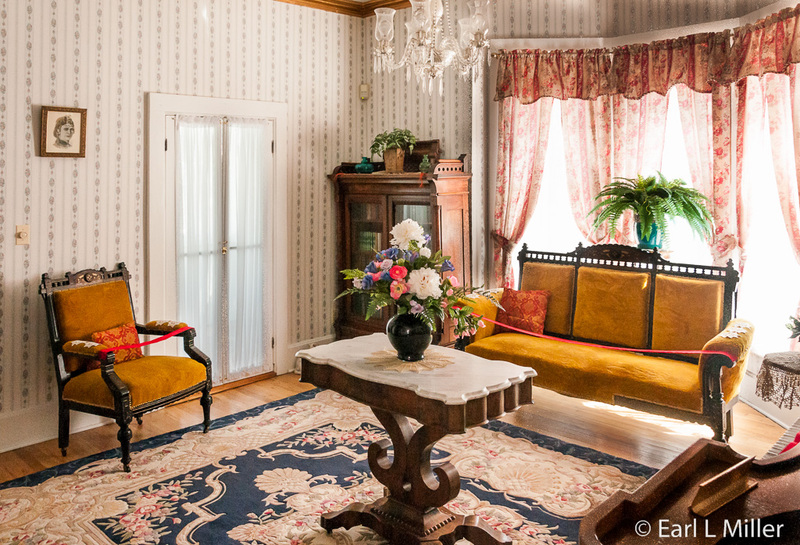 You will be greeted first by a docent, as you are seated in the home’s annex, who will relate the Tabor story to you. You’ll learn the home was sold for $2500 to Augusta’s sister in 1881. Some, but not much, of the furniture is original. In the parlor, the settee, chair, bookcase, and two prints belonged to the Tabors. In the office, the chandelier and desk are original while the dining room has one of their clocks. Upstairs, you’ll find a Tabor cradle. Wallpaper and wood in the house used to be dark with heavy drapes. Now according to the home’s curator, Neil Reynolds, it looks like something out of Martha Stewart instead of representing Victorian times. The home has gone through a series of owners. It opened in 1955 as a museum. In the mid 1990's the Santa Fe Land and Cattle Company bought it, constructed the annex, eliminated the gift shop, and redid the interior. In 1995, that company donated it to the city of Leadville. Its siding is original but has been painted different colors over the years.